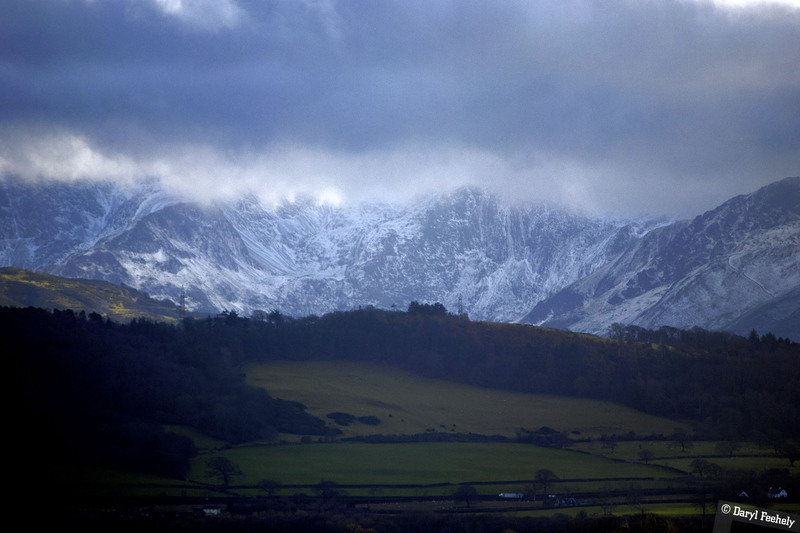 Image: Carnedd Llewelyn, this photo is available to licence on EyeEm. Swanlork in Bangor, DevDocs.io, Oceans S1, bee arithmetic, scaling Postgres, million dollar vegan, AntBot, World Data Visualisation Prize and David McWilliams' Renaissance Nation! This week while up in Bangor with The Swansea Laptop Orchestra, I took a trip along the Anglesey east coast to Beaumaris and Penmon point. From the pier in Beaumaris you can see across the Menai strait to Carnedd Llewelyn, which happened to be snow capped the day I was there. It's worth the short drive if you are in the vicinity of Bangor. This week Swansea Laptop Orchestra completed the Ty Cerdd CoDI Electronics project with a concert in the Pontio in Bangor as part of the Bangor Music Festival. The concert featured pieces from the 6 chosen CoDI composers. Check out my photos of the rehearsals and concert here. HT to the Syntax podcast for mentioning DevDocs.io, a website that has all the docs for every programming language in one place. It is also a progressive web application, which means you can cache the docs for offline reading! Team Oceans have launched a Kickstarter campaign to produce an ultrasonic communication watch for underwater divers. The watch allows for buddy communication underwater by sending an ultrasonic pulse that is detected by other watches in the vicinity, which then vibrate to grab the attention of the wearer. Researchers from RMIT University in Melbourne conducted an experiment that showed that bees can perform addition and subtraction arithmetic by associating abstractions such as colour to the operators and performing calculations within a maze in search for sugar water. Gajus Kuizinas has an interesting post over on Medium Programming about the lessons learned in scaling a Postgres database to 1.2bn records per month, including the different hosting options and data management and indexing techniques. Animal farming is the leading river in climate change, deforestation and species lost. The million dollar vegan campaign has issued a challenge to Pope Francis that if he goes vegan for lent, they will donate one million dollars to charity. The campaign wants to raise awareness for how trying vegan for lent can start the world down the road of halting climate change. Check out the video below fronted by activist Genesis Butler on how the 12 years the planet has to halt climate change isn't very much time at all. Researchers at CNRS and Aix-Marseille University, in the Institut des Sciences du Mouvement – Étienne Jules Marey (ISM) have developed a robot that can navigate outdoors without GPS. The AntBot mimics the cataglyphis desert ants, which navigate using an internal celestial compass based on the sky's polarised light combined with counting their steps taken. The Antbot uses two pixel sensors with polarised filters to measure its movement relative to the sun and achieves a 0.4 degree precision when this is combined with distance covered. Information Is Beautiful have released the winners of the World Data Visualisation Prize 2019. The winners are categorised into interactive, napkin and static categories, along with a grand prize winner. The results are available on the Information Is Beautiful website. David McWilliams returns with another Irish economics book wrapped in characters, stories and comparisions. After listening to his interview on the Blindboy podcast, I picked up Renaissance Nation. McWilliams is great at observing trends in Irish society, breaking them down and classifying their origin, nature and intent. He is also adept at building his own narrative universe, both within the book and across his other books, by rebasing the economics facts and theories he discusses from the point of view of characters like Quango Man, Sliotar Mom and Happy Pear Man (the evolution of Breakfast Roll Man, for those keeping track). These sterotypes, along with the humourous geographical classifications like New Wexico and Stoveland, are the sugar-coated delivery of some insightful and thought provoking opinions on and options for the various economic postions and problems Ireland faces at the moment. McWilliams looks at the housing crisis, the proof that there is one, why it came about, what can be done to fix it and what happens if we don't. He also looks at Northern Ireland in the context of Brexit and the implications for both economies if both countries find themselves on the doorstep of a border referendum in the not too distant future. These topics are two of many that are addressed in the latter half of the book. Before that, the main theme or theory of the book is fleshed out in great detail, how the relaxation of isolationist government policy and the reduction in control by the Catholic Church in Ireland from 1979 onwards have been the contributing factors to the massive economic growth that Ireland has had since the nineties. He posits that a tolerant, understanding and free people lead to a growing economy and that the the successful repealing of the 8th amendment is a testament to how far Irish society has changed in this period. McWilliams does a good job at framing issues and solutions in the context of the wider world and helps the reader see beyond the four provinces of Ireland. He compares the growing Irish economy of the nineties to Germany, the population density (or lack thereof) of Dublin city centre with Copenhagen and how a national fund in FDI multinationals could fund and bolster the Irish economy in the same way Norway has done with their oil resources. The biggest takeaway for me in reading this book though was the optimistic economic outlook that is portrayed. The book is in stark contrast to listening to the Irish news which wants us to believe that the country is crap because of all the problems. Not that there aren't problems, but this book helps you to remember that despite the problems, the Irish people have excelled in the open market and lifted ourselves out of the economic depression of the eighties by "having a go" as McWilliams puts it, and long may it continue. If you use this affiliate link to buy the book on Amazon, the commission will go towards running FoundThisWeek.com (thanks! ).